Protomold's monthly Design Tips are a popular and useful resource for designers and design engineers. We've compiled over 90 tips for designing injection molded parts in nine handy, downloadable volumes. You'll find useful tips and guidelines on everything from selecting materials to designing parts cost-effectively. In our new Volume Nine you will find topics including: designing clips, elimination of unnecessary material, text, crush ribs, bridging tooling, and injection molding gears. Get your free tips today! Ruggedized motors, coupled with a titanium housing and clever clutch design, deliver a dumbbell-size unmanned ground vehicle that can survive a 30-ft drop onto concrete to help urban police units get surveillance info on bad guys. Virginia Tech has released the results of its 2013 adult football helmet ratings, designed to identify differences between the abilities of helmets to reduce the risk of concussion. The ratings program was created in 2011 based on research that included analysis of over 2 million head impacts recorded in high school and collegiate football games. The process used for evaluating helmets involves mapping the on-field exposure to laboratory tests. Inspired by the biology of a fly, with submillimeter-scale anatomy and two wafer-thin wings that flap almost invisibly 120 times per second, Harvard researchers have demonstrated the first vertical takeoff, hovering, and steering of a truly insect-size robot. The RoboBee, an aspiration for the researchers for years, represents the absolute cutting edge of micromanufacturing and control systems. Just a couple of months after the launch of the new FH tractor truck series, Volvo Trucks is presenting yet another world-class technical innovation. Volvo Dynamic Steering combines conventional hydraulic power steering with an electronically regulated electric motor fitted to the steering gear. Circuit-protection specialist Littelfuse has just announced its 2013 Speed2Design promotion, where 20 lucky engineers will get the opportunity to go behind the scenes to spend time with NASA engineers at two premiere NASA facilities. Littelfuse will host Speed2Design TechTalk events at NASA's Ames Research Center in Moffett Field, CA, on August 15 and Johnson Space Center in Houston, Texas, on October 24. Over the next few months, Littelfuse will randomly select 10 winners from those who enter the promotion to participate in each Speed2Design event, providing a travel voucher, lodging, and event expenses. 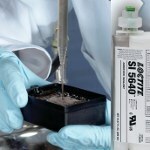 Henkel Corporation has introduced Loctite SI 5640, a two-part, self-leveling silicone potting compound designed for electrical and electronic potting applications that require UL 94 VO compliance. Designed to ensure the integrity of electrical components by sealing against corrosion and outdoor contaminants, this low-viscosity, flame-retardant silicone offers strong adhesion to plastics and resists 85C/85 percent RH aging conditions. Gelling in just 5 min., the potting compound delivers high throughput in automated processes that require fast cure times. Designed for use on outdoor electrical devices such as electrical meters, signage/displays, speakers, HVAC components, appliances, solar panels/wiring, wind turbines, and LED lighting. An expanded line of lever-actuated shaft collars that can be opened, moved, and re-clamped by hand for use in larger, non-rotary applications has just been introduced by Stafford Manufacturing. Staff-Lok Shaft Collars feature an integral hinge with a conformal cam lever for clamping, and a knurled nut for adjusting the clamping preset, which makes it easy to move by lifting the lever, moving the collar, and clamping it by hand. Eliminating the need for tools, this line of lever-actuated collars has been expanded to include larger body (up to 4 1/4 in. OD) and bore sizes. UQM Technologies has added a new system in its growing line of production-ready, automotive-validated electric propulsion systems for vehicles. The UQM PowerPhase HD 950T provides 950 Nm of torque and is designed for heavier commercial trucks and buses that require higher torque. This is an additional offering to the PowerPhase HD 220 announced last year, giving customers choices of various levels of torque and horsepower to meet their requirements. A newly formulated TPE (thermoplastic elastomer) developed by STAR Thermoplastic Alloys & Rubbers expressly for overmolding onto Nylon 6,6 claims savings to be as much as 70 to 80 cents per pound over competitive materials. 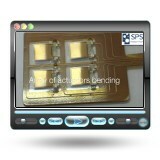 This is the first step by STAR to offer a universal series of low-cost TPE grades for all types of nylon overmolding. 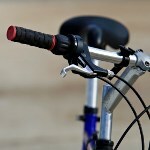 With hardness ranges from 50 to 80 Shore A, applications for STAR Nylon grade 66 OM TPE are targeted for products where an extra strong hard base material and a soft-touch overmolded outer surface are required, such as tool handles, casings for enclosures, and bike and other recreational equipment grips. Gary Conley's 30-year quest to manufacture a true production V8 engine in quarter-scale almost went up in smoke twice: once in 2001 when a foundry fire claimed all his critical molds, and later when oil smoke proved a stubborn problem during run-offs of the engine. Conley overcame the first setback with years of sheer determination. The second issue required a Sunnen MB 1660 honing machine, abrasives, and some Sunnen know-how. GE engineers have built and patented a new machine that attaches to the bottom of a ship like a jet engine to an aircraft wing -- and it looks like one, too. The device, called the Inovelis pump jet, can swivel 360 degrees around its axis and push the ship in any direction without a rudder. ABB/Baldor and Motion Industries demonstrate how to increase energy savings by controlling air flow and pressure with low-voltage drives. Take a look and visit mihow2.com for more instructional videos on various industrial solutions from Motion Industries. The thin-film polymer actuators from startup Strategic Polymers may give rise to more tactile keyboard strokes on smartphones, tablets, and other HMI screens, and they can even be used as speakers. The highly flexible actuators can bend 180 degrees and offer a unique combination of high strain and high mechanical modulus brought about by the high electrostrictive response of the electro-mechanical polymer (EMP) material.